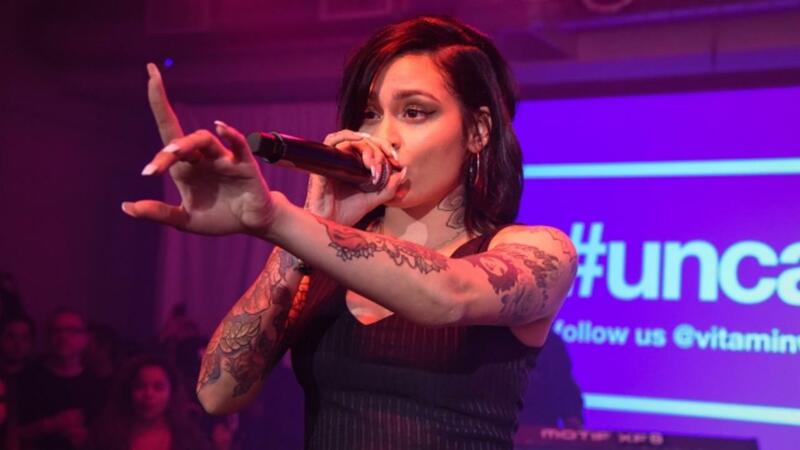 Kehlani has revealed she was hospitalized Monday night following an apparent suicide attempt. In a since-deleted Instagram post, the 20-year-old Grammy-nominated singer notified fans of her condition last night with a photo of herself in which she appeared to be hooked up to an IV. She included a caption, explaining, "Today I wanted to leave this Earth ... As of today, I had no single wish to see tomorrow. But God saved me for a reason, and for that ... I must be grateful. Cuz I'm not in heaven right now for a reason." On Tuesday morning, she updated fans with another since-deleted Instagram post of her recovering in the hospital. On Monday, Kehlani became the subject of intense social-media scrutiny after R&B singer and Drake signee PartyNextDoor — whom Kehlani is said to have previously been involved with — posted a suggestive photo on Instagram of what appeared to be him in bed with Kehlani, sparking rumors that she had cheated on her boyfriend, Cleveland Cavaliers' Kyrie Irving. Kehlani went on to delete all of her social media and later denied rumors of infidelity in her original post from the hospital, saying, "No one was cheated on and I'm not a bad person." Kehlani was nominated for a Grammy for Best Urban Contemporary Album earlier this year for her debut mixtape, You Should Be Here, and is the only featured artist on Zayn's debut solo album. We wish her well at this time.